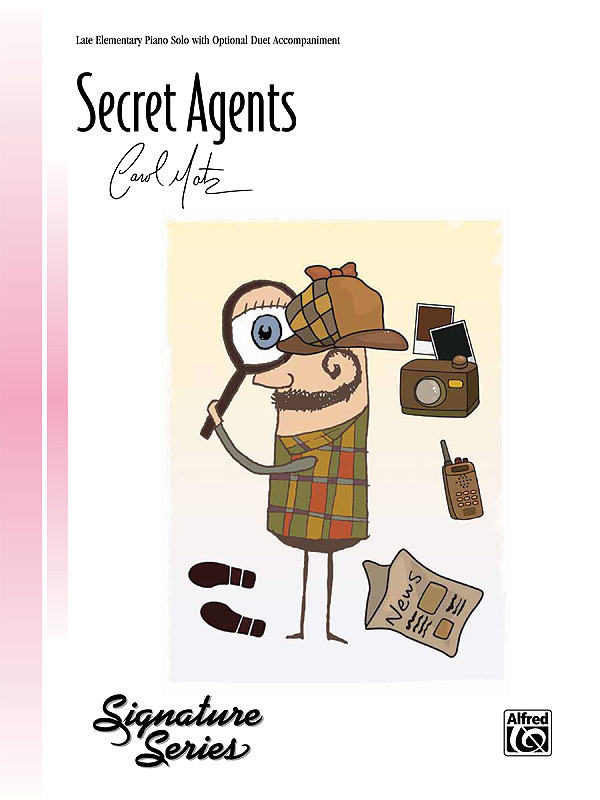 * Students will feel like a super-sleuth as they play Secret Agents! * This solo, written in D minor and 4/4 meter, is a mysterious romp through the world of pretend espionage. * Students should search for clues on how to perfectly capture the feeling of this piece by focusing on dynamic changes and contrasting articulations. * Things get even more mysterious with the use of octave shifting in the left hand. * Feel free to team up with another spy and play this solo as an optional duet!